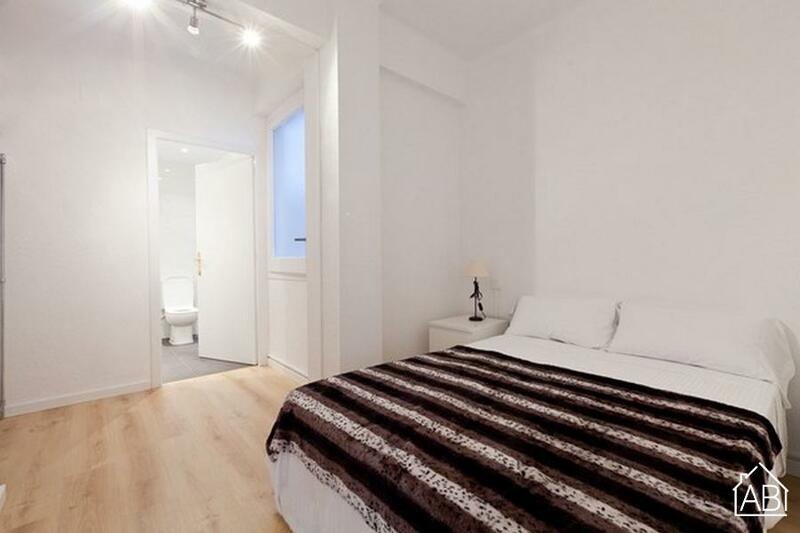 This bright and modern apartment is located in the beautiful Eixample district. The area, which includes some hotspots such as Passeig de Gràcia and Plaça d´Espanya (where you can find the Magic Fountain) is perfect for a trip to the Catalan capital. With many shops, bars, cafés and restaurants in the area and good public transportation, it is the ideal spot for your stay in the city. This spacious two bedroom apartment can easily fit up to 4 people. There are two lovely bedrooms, two modern bathrooms and a beautiful open-plan living/dining area. An Internet connection is available in this apartment.The kitchen comes fully equipped, so you can try out some traditional Catalan recipes during your stay, and there is also a Nespresso coffee machine.